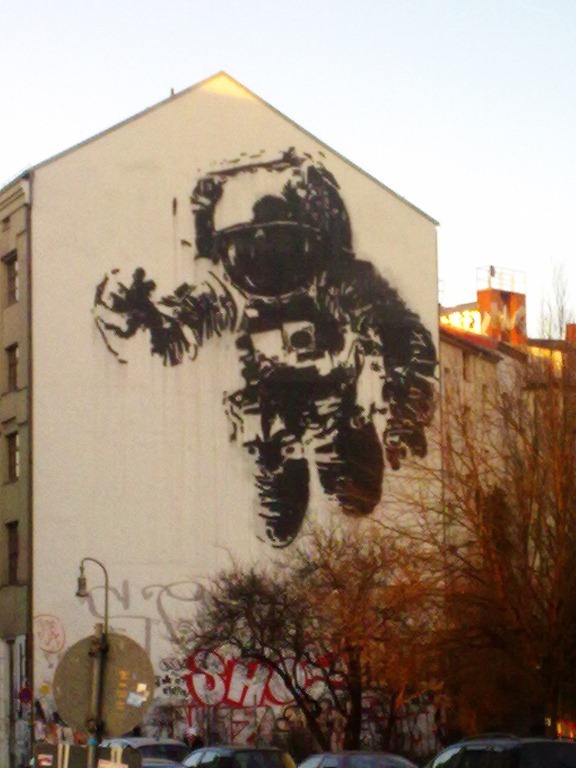 In the Kreuzberg area of Berlin we spotted this graffiti spaceman on the side of a building. Like much of the graffiti in Berlin the piece is spectacular. The scale is enormous and the piece has been extremely well executed, as if a giant had come along with a stencil and a spray can. It was only upon my return to the UK that I discovered that the piece entitled Cosmonaut was actually by the famous street artist Victor Ash. I found a great quote about the piece on the AnArchitecture blog.